Many composers of fame have had the honor of writing music for a superhero movie in the Marvel universe. They were all very different composers and have written music in all kinds of styles for these movies, but they all had one thing in common: they were male. When they announced Captain Marvel, which focuses on a female hero, played by Brie Larson, one of the first things Marvel also announced was that the score would be written by a woman, namely Turkish composer Pinar Toprak. She has written quite some music for film and television, but nothing as high-profile as a Marvel movie, and the film music community was full of anticipation to see what kind of music she was going to write for Captain Marvel. One of the most important elements for the music of a Marvel movie is the main theme. It is no different for this movie and the heroine’s theme can be heard in full in the first track, “Captain Marvel.” The theme is very heroic, introducing the melody using the French horns with the support of the other brass instruments. The middle part contains lines by the strings and some electronics, and choir at the ending, with a big finale with the main melody. This track contains all the ingredients for a strong theme, but are these sufficient to make it an amazing one as well? The best way for me to rate a theme is by how much and how long it sticks in my head. 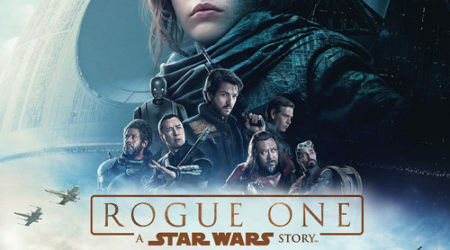 Before I went to see the movie in the theater, I had listened to the score a couple of times to get a feel for it, and I caught myself humming the theme while I went to the bathroom before the movie had started, which to me is a very good sign of a decent theme. What is also very good about this theme are, weirdly enough, the first two notes. I watched a red carpet interview with Pinar Toprak in which she explained that the interval between the first two notes is wider than in most other themes. It makes the theme very recognizable throughout the whole score. These two notes, sometimes combined with a bit more melody from the rest of the theme, appear occasionally throughout the soundtrack. They can be heard at the beginning of “Waking Up,” where Captain Marvel is introduced, for which the melody of the theme is sung by vocalist Tori Letzler. The theme can also be heard in “I’m All Fired Up,” where you can hear it at the end of the track after a magnificent and strong buildup to the finale. In “This Isn’t Goodbye” you can hear an emotional and a heroic version of the theme. Since I have a weak spot for leitmotifs, I was hoping for some additional themes, maybe for the Kree and the Skrulls – which are the two main alien races in the movie and who are at war with each other – or for the other main characters, like Nick Fury or Yon-Rogg, but I could not really find any. Toprak focused more on the events and emotions happening on the screen than giving musical attention to those who are present during these scenes, with the exception of the main theme for Captain Marvel. I did not really recognize a theme for the Kree, but the fact that they are a very technologically advanced race is symbolized by the use of electronics. Excellent examples of this are the tracks “Waking Up,” “Boarding the Train” and “Why Do You Fight?” where these electronics play a big role. 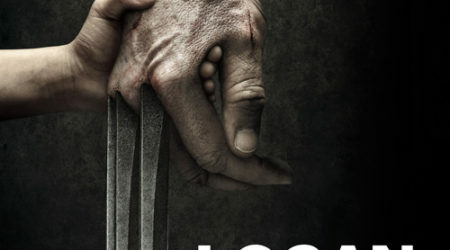 In a Marvel movie, a lot of action scenes are to be expected, and music for these can be heard very clearly, for example, in “Breaking Free” and “More Problems”. Especially this last track, which at eight minutes is quite lengthy, contains a good portion of sound effects, patterns and all kinds of different melodies to support the busy work on the screen. There is also a bit of sneaking around in this movie. This can be heard in “Lifting Fingerprints,” where the woodwinds, together with other sounds, make it sound like a heist movie. “Finding the Records” is more about discovery, with mysterious sounds by the woodwinds, strings and a few electronic elements. In this movie there is also room for sad emotions in “Photos of Us,” with Tori Letzler singing again, and in the tracks “Learning the Truth” and “New Clothes,” which both have beautiful, emotional hints of the theme. The best way to summarize this score is that it fits a Marvel movie perfectly. 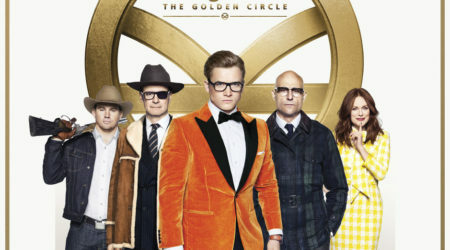 All the scenes in the movie are supported quite well by music by the orchestra, with some support of electronics to represent the alien elements in this movie. 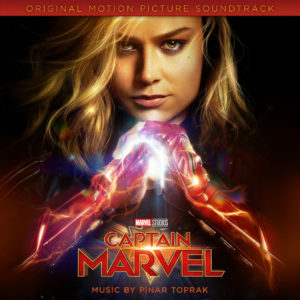 The main theme Pinar Toprak has written is gorgeous and is a very good representation of Captain Marvel, but when I am listening to the rest of the music with its beautiful melodies and patterns, I personally really miss some additional themes, which would have made the music more identifiable with the movie. Does that make this a bad score? Absolutely not. The music does exactly what it is supposed to do: enrich the scenes of the movie. I am just a sucker for additional themes next to an awesome main theme, that is all. In my opinion, with this score Pinar Toprak has earned herself a spot as a successful composer for a Marvel superhero movie.